all colours and textures are the most important aspects of home décor. 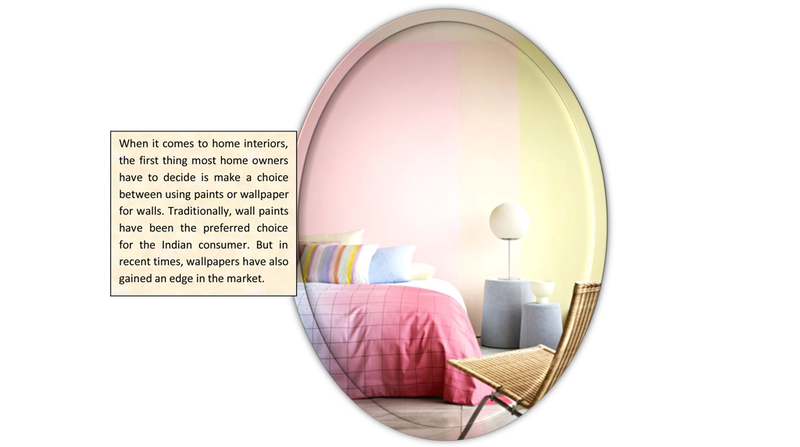 The colour scheme of a room determines the type of furniture and furnishings you choose. It is safe to say that the walls of a room decide the look and feel of the room. 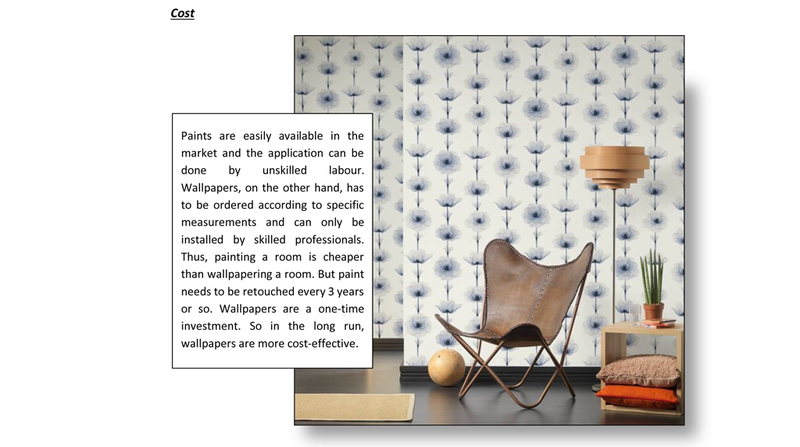 So, which is better – Paints or Wallcoverings? 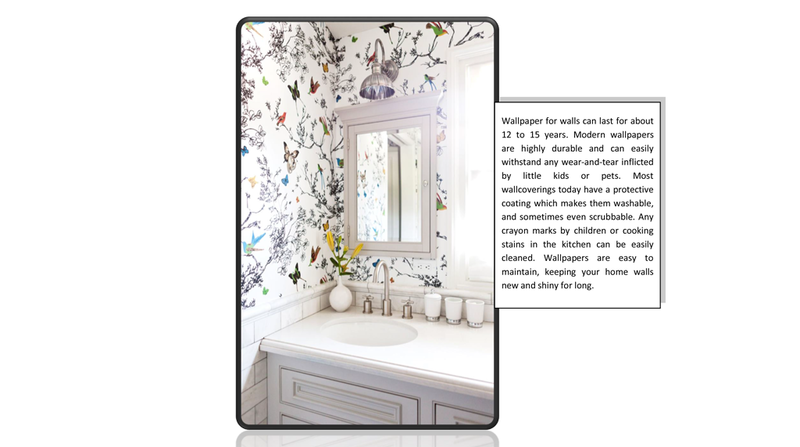 Wall paint manufacturers offer a wide range of colours and shades. If homeowners want a green colored room, they can choose among more than 30 shades of green available. So, while there are plenty of colours with paint, it does not offer many textures or finishes. Painting jobs are time-consuming and labor-intensive. The walls have to be smoothened to perfection, and then a coat of primer is applied to prepare the walls. Then once the primer gets enough time to dry, paint is applied on the walls. Typically, two coats of paint are applied to the best colour effect. Drying time of two days is given between the two coats. Thus, painting a room takes up at least 4-5 days. High-quality paints can last you up to five years. But wall paint has a tendency to fade and flake in certain areas caused by sunlight, moisture or high traffic. Thus it is necessary to retouch a paint job every 3 years or so to maintain the colour effect, especially for lighter shades. 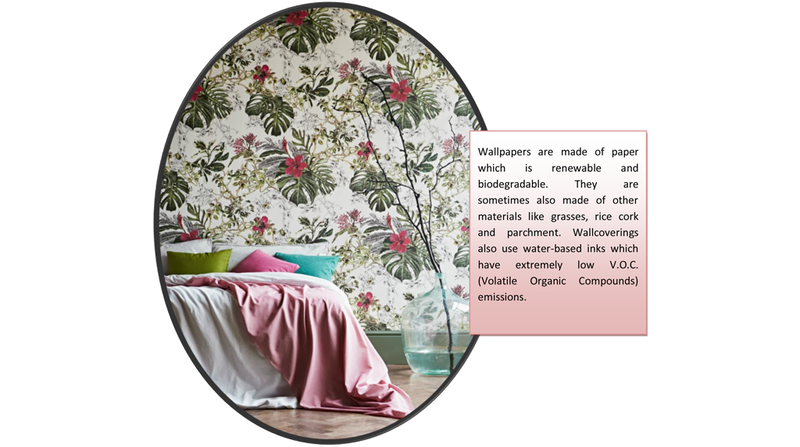 Wall paints can have a pretty high rate of VOC emissions. They are known to adversely affect the indoor air quality of a room. 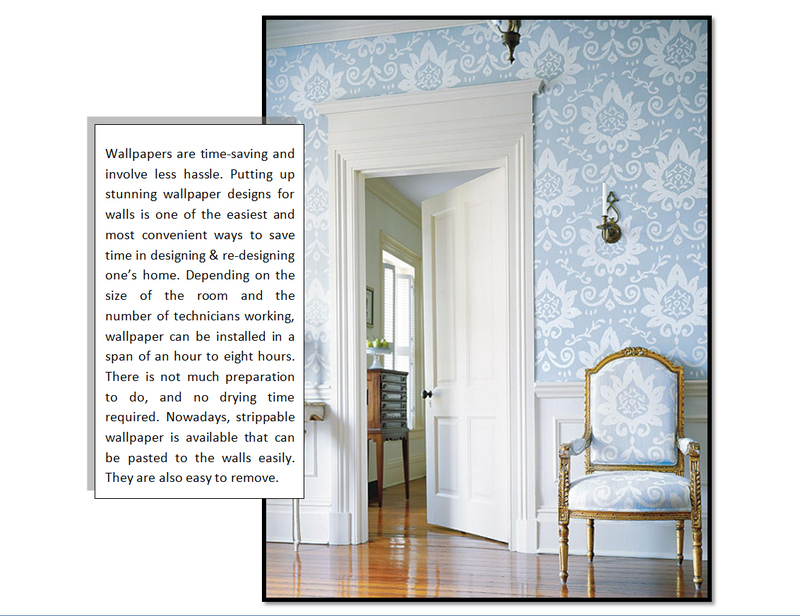 Excel is a leading wallpaper distribution company in India. 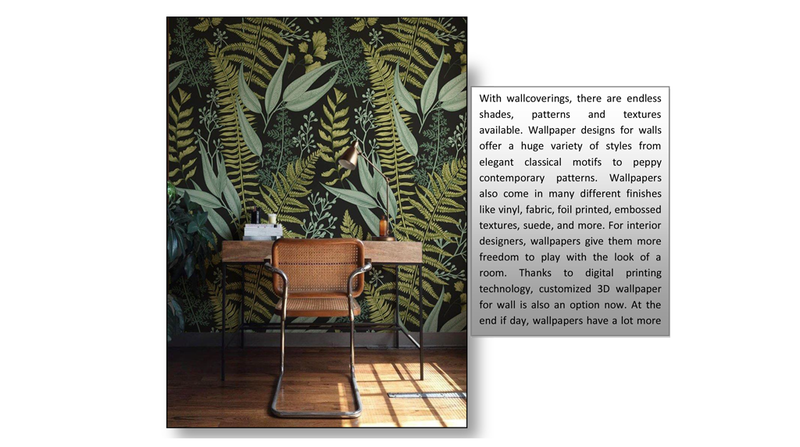 We offer a wide range of the latest wallpaper collections at affordable prices.